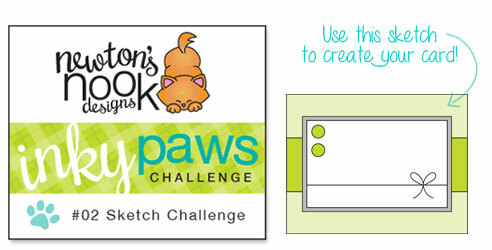 Did you know you have just a couple days left to enter our Inky Paws Challenge? There's still time - the deadline to enter is Friday, September 6th, 2013 at Midnight CST! 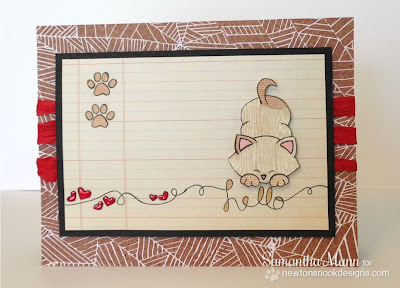 You can view full details and link up your card and enter the Inky Paws Challenge on this post. If you don't own a NND stamp set yet you can still use the digital freebie that is up on our first challenge post. And here is some more inspiration from Design Team Member Samantha Mann! 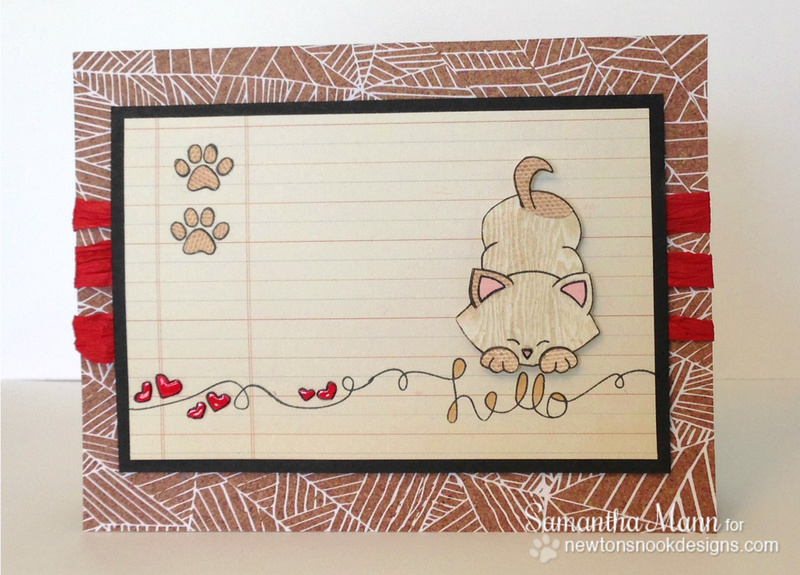 She created this adorable card using the kitty and paw prints from Newton's Antics Stamp set and the hearts and hello from the Winged Wishes stamp set. This is really adorable, don't you think? For full details and to see what else she's up to make sure to visit Samantha's blog Sam's Scrap Candy. Now it's your turn - go check out our Inky Paws Challenge and play along! We really love to see everyones creations! !